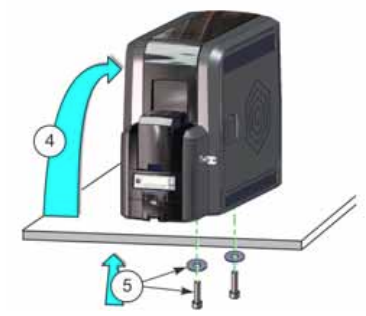 The printer includes bolt-down openings that you can use to secure it to a mounting surface. The bolt-down kit (part no. 512969-001) contains two M6 well nuts. 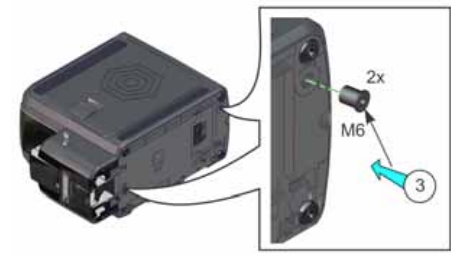 Two M6 (6 mm) screws, purchased separately. screw length is the surface thickness + 0.75 inch (20 mm). Two M6 washers purchased separately. 1/4-inch (7 mm) drill bit.